Just when Johnny Scott could probably cruise safely to his first USMTS national championship, the New Mexico native just continues to push it to the limit like his life depends on it. Rather than just play it safe and collect enough points to keep his lead safe, Scott manhandled his No. 1st Rancho Milagro Racing VanderBuilt machine as hard as he could Thursday night at the Rapid Speedway and collected his 13th victory of the season. “I felt that tire go down coming out of (turn) four for the white flag and I was like ‘You gotta be kidding me,’ but I guess I had a good enough lead and I just stayed on the gas and just kept going around there and we pulled it off. I didn’t think we were going to,” an elated Scott said in victory lane. Enjoying a nearly eight-second lead over Rodney Sanders with one lap to go, Scott began to slow considerably after crossing underneath the white flag. By the time he reached turn three it was obvious his right rear tire was flat and chunks of rubber began to tear into his body panels as they flew off of the car. One lapped car got back by Scott in the final corner heading to the checkered flag, but despite the right rear wheel digging into the soft clay in the final turn Scott’s cushion was so massive that he was able to limp across the finish line more than two seconds ahead of Sanders. Scott took the lead on the first lap, and with just one caution during the race he lapped everybody but those finishing in the top six. He was on the back bumper of fifth-place-finishing twin brother Stormy Scott when his tire went flat. Johnny Scott limped into victory lane Thursday night at the Rapid Speedway after blowing his right rear tire on the final lap of the 40-lap feature. For his efforts, Johnny Scott pocketed $3,000 for the win—the 43rd of his USMTS career—and surpassed Tommy Myer’s total of 42 to move into sole possession of seventh on the all-time victories list. More importantly, he basically needs to make sure he keeps breathing and he’ll be the 2018 USMTS national champion. Considering he’s the top eligible driver for a provisional starting spot in the final four races of the points chase, the least amount of points he can earn in each of those events is 50 while the most a driver can earn is 103 for winning the race and leading the most laps. If Stormy Scott wins the final four races, leads the most laps in all four and Johnny Scott finishes last in those four races, the most points that second-place Stormy Scott could gain on the leader over the next four races is 212. Mathematically, it’s not over yet. But the fat lady is warming up and the awards-makers are charging their engraving tools. Two-time USMTS national champion Sanders held off last year’s Rapid Speedway winner Dereck Ramirez for the runner-up spot Thursday while Terry Phillips continued his late-season surge with a fourth-place finish. The last driver on the lead lap, Josh Angst was sixth, followed by Jake O'Neil, Adam Kates, Rock Rapids racer Don Gerritsen Jr. and 17th-starting Zack VanderBeek. There’s no mathematical equations to figure out in the battle for the Grant Junghans USMTS Rookie of the Year Award. With his showing Thursday night, O’Neil has secured the 2018 top rookie honors. One other season-ending award was clinched with Johnny Scott’s victory on Thursday night. Claiming their first title with the series, Durham Racing Engines of High Point, N.C., is the USMTS Engine Builder of the Year for 2018. FRIDAY – The USMTS Hunt for the Casey’s Cup heads to the Fayette County Speedway in West Union, Iowa, on Friday for the 6th Annual USMTS War in West Union presented by KAR Auto Group. The Iron Man Challenge featuring Holley USRA Stock Cars and Out-Pace USRA B-Mods will join the action, along with Cook Racing Supplies USRA Hobby Stocks. Zack VanderBeek and his Oreo-sponsored USMTS Modified will be at the Casey’s General Store located at 102 E. Bradford in West Union from 11:30 a.m. to 1 p.m. to meet ‘n’ greet fans. 5. (6) 57 Duke Erickson, Sioux Falls, S.D. 6. (3) 2s Stormy Scott, Las Cruces, N.M.
5. (4) 20 Trevor Anderson (R), Watertown, S.D. 6. (5) 33z Zack VanderBeek, New Sharon, Iowa. DNS – 14 Jon Tesch, Watertown, S.D. 2. (4) 27 Don Gerritsen Jr., Rock Rapids, Iowa. 3. (5) 23 Adam Kates, Tonganoxie, Kan.
5. (6) 16b Randy Brown, Chowchilla, Calif.
6. (1) X Chris Moore, Madison, S.D. 1. (3) 1st Johnny Scott, Cameron, Mo., VanderBuilt/Durham, 40, $3450. 2. (6) 20 Rodney Sanders, Happy, Texas, MBCustoms/Hatfield, 40, $2025. 3. (10) 4r Dereck Ramirez, Woodward, Okla., Hughes/Cornett, 40, $1500. 4. (9) 75 Terry Phillips, Springfield, Mo., GRT/Durham, 40, $1290. 5. (16) 2s Stormy Scott, Las Cruces, N.M., VanderBuilt/Mullins, 40, $1085. 6. (8) 99 Josh Angst, Winona, Minn., MBCustoms/Sput’s, 40, $600. 7. (7) 0 Jake O'Neil (R), Tucson, Ariz., LG2/Cornett, 39, $880. 8. (1) 23 Adam Kates, Tonganoxie, Kan., LG2/Speedway, 39, $825. 9. (4) 27 Don Gerritsen Jr., Rock Rapids, Iowa, Skyrocket/HarryHeads, 39, $350. 10. (17) 33z Zack VanderBeek, New Sharon, Iowa, VanderBuilt/Sput’s, 39, $775. 11. (15) 20 Trevor Anderson (R), Watertown, S.D., Arrow/Victory, 39, $375. 12. (12) 8c Chris Clark, Jackson, Wyo., GRT/ChevPerf, 39, $350. 13. (13) 57 Duke Erickson, Sioux Falls, S.D., Dominator/Hansen, 38, $250. 14. (11) 07 Cory Crapser, Chippewa Falls, Wis., MBCustoms/Troy’s, 33, $300. 15. (5) 90 Steve Wetzstein, West Concord, Minn., MBCustoms/Sput’s, 32, $225. 16. (14) 16b Randy Brown, Chowchilla, Calif., PCD/ChevPerf, 28, $225. 17. (18) X Chris Moore, Madison, S.D., GRT/Vetter, 1, $225. 18. (2) 69 Lucas Schott, Chatfield, Minn., MBCustoms/Hill, 0, $650. DNS – 91 Joe Duvall, Claremore, Okla., 0, $0. DNS – 14 Jon Tesch, Watertown, S.D., 0, $0. Margin of Victory: 2.819 seconds. Time of Race: 13 minutes, 41.076 seconds (1 caution). Eibach Spring Forward Award: Ramirez (advanced 9 positions). FK Rod Ends Hard Charger: S. Scott (started 16th, finished 5th). 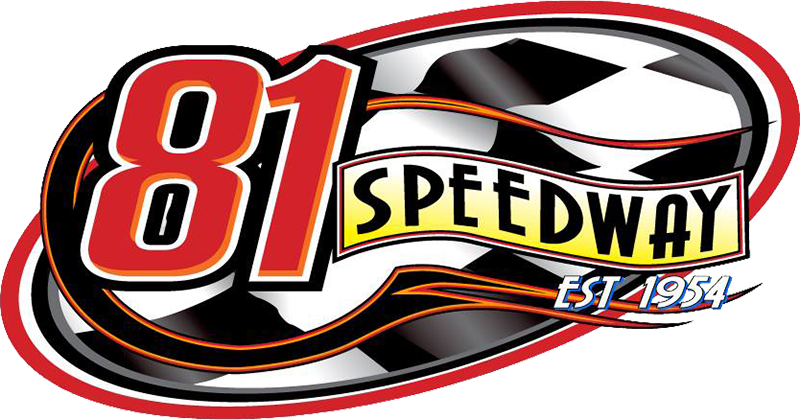 Next Race: Friday, Aug. 31, Fayette County Speedway, West Union, Iowa. USMTS Hunt for the Casey’s Cup Points: J. Scott 3025, S. Scott 2815, Sanders 2784, VanderBeek 2701, O'Neil 2676, Ramirez 2669, Phillips 2656, Schott 2572, Kates 2027, Duvall 1875. Grant Junghans USMTS Rookie of the Year Points: O'Neil 2048, Lance Mari 1163, Carlos Ahumada Jr. 760, Zane Ferrell 692, Kyle Prauner 627. USMTS Engine Builder of the Year Points: Durham 290, Mullins 240, Cornett 236, Hatfield 225, Hill 195. USMTS Manufacturers Championship Points: VanderBuilt 341, MBCustoms 319, Hughes 247, GRT 245, LG2 228. Beyea Custom Headers – Moore. Casey’s General Stores – Tesch. Forty9 Designs – Crapser, Phillips. Integra Shocks & Springs – Schott. Jerovetz Motorsports Racing Parts – Wetzstein. KSE Racing Products – Gerritsen. Mesilla Valley Transportation – Brown. Out-Pace Racing Products – Brown. Swift Springs – J. Scott, Moore.